An NFPA Technical Committee (TC) serves as the principal consensus body responsible for the development and revision of an NFPA Standard or Standards emanating from a Technical Committee project. Appointment to a Technical Committee is based on: qualifications of the applicant; a balance of interest categories on the committee; maintaining the committee at a manageable working size; and the ability of the applicant to attend and participate in all committee meetings. A Technical Committee member does not need to be an active NFPA association member. E-mail NFPA with any questions about Technical Committees. To apply for membership on an NFPA Technical Committee, select a document from our list of codes and standards, visit the “Technical Committee” tab, and select the link “Submit Committee application online”. You will be asked to sign-in or create an NFPA account. 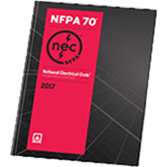 The NEC is adopted in all 50 states, and covers electrical wiring and installations. 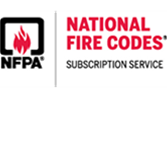 *For pricing on 10 or more users please contact us at nfcss@nfpa.org. Committees seeking members See a list of NFPA Technical Committees that are seeking members. Classification of Committee members Classifications represent a member's principal interest in Committee activities. Committee member access on the Doc Info Pages Committee Members have online access to private Committee information on the document information pages. Meetings See the schedule of upcoming Technical Committee meetings; all meetings are open to the public. Advisory and Non-NFPA Committees Glossary of Terms, Health Care Interpretations, HUD MHCC.